Do you have a room in your house that is looking cramped and small? Have you tried rearranging furniture until you're blue in the face but just can't make the space feel any larger? Maybe it's time to look at the floor. The floor you select can make a big impact in the size of a room. 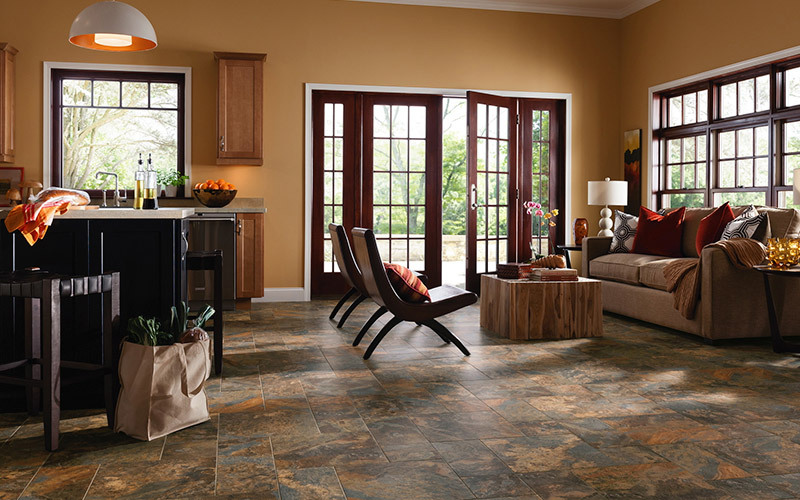 Type of flooring and color can go a long way to transforming a too cozy space into a spacious, airy room. Indianapolis flooring store Kermans has some tips and tricks for using flooring to make a space feel larger. 1. Go wider and larger: For wood floors that means wider boards. Planks that are wider than three inches can make a room feel bigger instantly. These larger wood boards will have fewer seems and thus create a more open pattern on the floor. Another trick for hardwood floors? Lay the planks parallel to the longest wall in the room to make the room feel longer. This same trick applies to tile floors as well. Tiles are typically made as 12 inch squares. 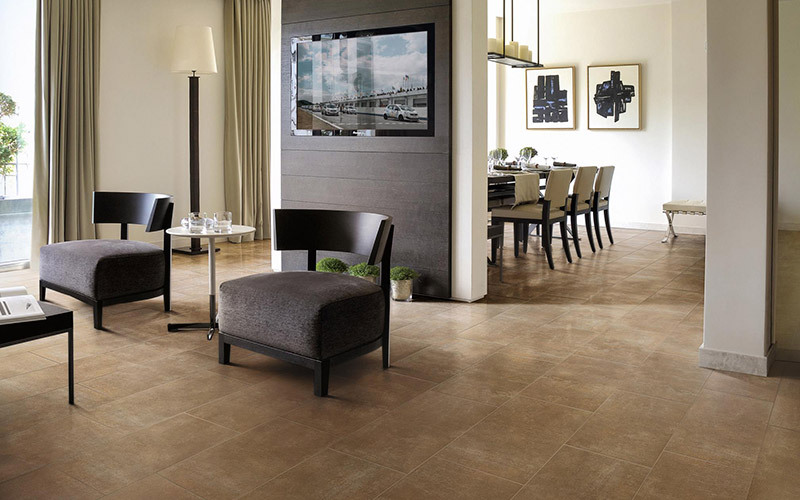 Therefore the number of tiles instantly gives the sense of the square footage of a room. Install larger tiles - 16 inches - and you open the space. You could also install with minimal grout lines to incrase the open feel. 2. Continuous flooring: If you have an open floor plan, consider using the same floor in all rooms. Joining adjacent spaces with the same flooring gives the illusion of having one large room. If you really want to use carpet in one area but tile in another, choose flooring of the same color to tie the spaces together and create the visual effect of one large room. 3. Flooring layout: We mentioned earlier laying out wood planks parallel to the longest wall to increase the visual sense of size. You can also lay flooring on a diagonal. This tip works for hardwood, laminate, tile, or luxury vinyl. This flooring layout tricks the eye into seeing a different perspective - one with more visual interest and space. 4. Go light: Lighter colored carpet, wood or tile increases the space of the room. Lighter floors with darker walls can make the room feel much more open and airy. Color as a whole makes a huge impact in the feel of a room. Want more tips and tricks for your home? Schedule a free design consultation and our expert designers will be happy to share more ideas and help you find the flooring that best meets your needs.